We provide emergency service & repair for all Quincy air compressors. Simply call us, toll-free, @ 888.311.7247 or contact us online. 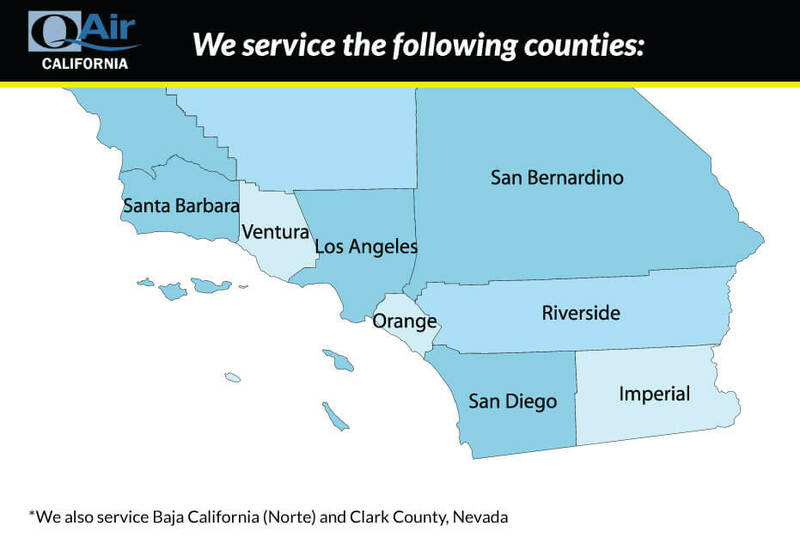 QAir California has been providing Quincy compressor service to the regions of Southern California for over a decade. Our fleet of expertly trained technicians is equipped with the knowledge, tools, and equipment to keep your Quincy air compressor running at full operation for optimal efficiency. With a large inventory of repair and maintenance parts readily available, QAir California has the tools and resources available to become your trusted partner for the life of your compressor. Ask us about our preventative maintenance programs custom tailored to keep you on schedule and worry-free. Maintenance programs can be designed based on all of your specific requirements and budget constraints. Our maintenance programs help free up valuable time from your maintenance department, help eliminate the need for internal maintenance tracking, and ensure warranty compliance. Call us toll-free @ 888.311.7247 to learn more about our maintenance programs. Why Choose QAir California for your Quincy Compressor Service? Our service department provides prompt care & service; with 24 hour emergency services available to better serve our customer’s needs. Our technicians are certified and factory trained to work on Quincy air compressors, as well as other major brands of air compressors. We know the “ins & outs” of your Quincy air compressors. We offer thorough system evaluations including tear downs, inspection, cause of failure analysis, and documentation. We provide custom maintenance plans to give you peace of mind. Full in-house airend rebuilds and complete compressor overhauls. For more information or inquiries regarding our Quincy compressor service & maintenance costs, programs, or other questions you may have, please contact us toll-free @ 888.311.7247 or contact us online & we will respond promptly.